Hello BONES fans! Welcome to season 10—and what a premiere it was! What did you think of The Conspiracy in the Corpse? There is a lot to discuss, so let’s get to it. Tags: bones, bones season 10 premiere, bones season 10 premiere spoilers, john francis daley, Stephen Nathan, sweets dies, sweets is dead, why was sweets killed off of bones? The official BONES season 10 cast shots are here, and while some of them may look a bit familiar, the photos are absolutely gorgeous. 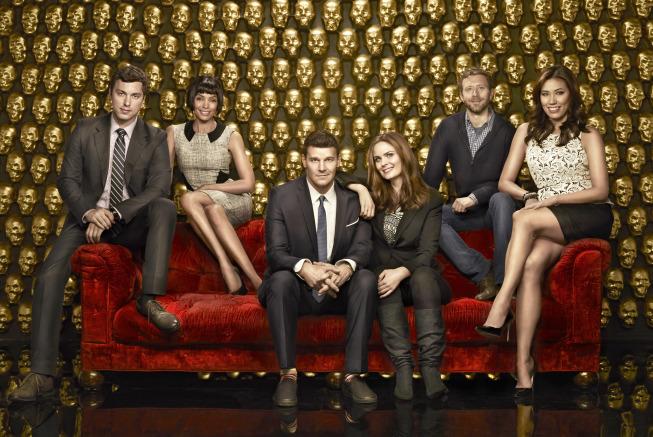 The cast of BONES took some shiny new photos to promote the upcoming ninth season. Check them out! Before BONES concluded its eighth season, executive producer Stephen Nathan was already teasing that Sweets would be going through some turmoil in season 9.